by Lily Dane, Activist Post With the end of “tax season” nearly a week behind us, many Americans are likely moving through the five stages of grief: denial, anger, bargaining, depression, or acceptance. It is probably not shocking to anyone to hear that the IRS is among the most hated and feared of the government agencies (it has taken first place in many annual polls). 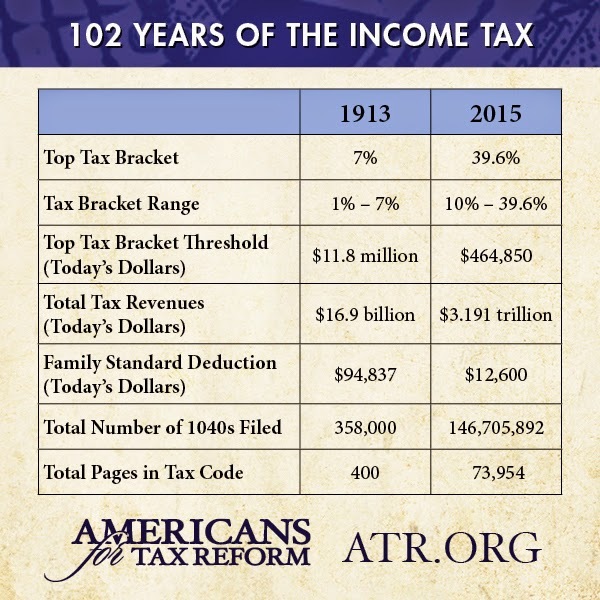 A quick look at the history of the income tax might provide some hints as to why we despise the agency so much. The modern income tax began in February 1913 when Congress passed the Sixteenth Amendment to the Constitution, thanks to the administration of Republican William Howard Taft. The first tax bill came from the Woodrow Wilson administration in 1913. Wilson made the income tax a key part of his electoral campaign (the Republican party platform of 1912 did not mention the income tax). Tax Freedom Day is the day when the nation as a whole has earned enough money to pay its total tax bill for the year. Tax Freedom Day takes all federal, state, and local taxes and divides them by the nation’s income. This year, Americans will work the longest to pay federal, state, and local individual income taxes (43 days). Payroll taxes will take 26 days to pay, followed by sales and excise taxes (15 days), corporate income taxes (12 days), and property taxes (11 days). The remaining 7 days are spent paying estate and inheritance taxes, customs duties, and other taxes. A hand from Washington will be stretched out and placed upon every man’s business; the eye of the Federal inspector will be in every man’s counting house. The law will of necessity have inquisitorial features, it will provide penalties, it will create complicated machinery. Under it men will be hailed into courts distant from their homes. Heavy fines imposed by distant and unfamiliar tribunals will constantly menace the tax payer. An army of Federal inspectors, spies and detectives will descend upon the state. Who of us who have had knowledge of the doings of the Federal officials in the Internal Revenue service can be blind to what will follow?